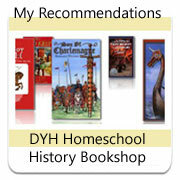 Living Books - the very best way for your kids to LOVE history! Using a Living books curriculum - a book list - as a basis for a homeschool history curriculum is not only simple, but yet, extremely effective in developing a love of learning, an understanding of the historical time period and knowledge of different cultures. Once you've chosen the time period which you will study, find some excellent read aloud books - and begin the study by snuggling up on the couch and getting right into the time period. There is nothing that beats sitting together and sharing a book. Historical fiction living books allow you to enter the time period and live life for a while with the main character. As you walk through the pages, you'll see the sights, experience the culture, enter the homes and understand the battles that the main character needs to deal with. How will he face difficulties? What should he do? How is it different to today? What would you do? Living books really allow you as the reader to enter their world. It is a great time to arouse interest in the time period and open up great discussion points. From here, you can look for books which explore the culture, geography, war and weapons, dress, food and jump into a complete study. Such wonderful books here. Tut's Mummy - great for the younger children, and Pyramid by David Macaulay will interest those who want to know how and why of pyramids. Great, helpful illustrations - one in a great series! The Pharaohs of Ancient Egypt explains how archaeologists have pieced together their discoveries to slowly reveal the history of Egypt's people, its pharaohs, and its golden days. I first bought this book with the Greenleaf Guide to Ancient Egypt and this was one of our first introductions to a living books history. Wonderful to read of the Rosetta Stone and other archaeological discoveries. Perhaps best of all, and what sets this book above others of its kind, are the final two chapters which are instructional to evangelism. Showing how this information can be used in witnessing and how dinosaurs can be used in spreading the Gospel message as given in the Creation narrative. Adults, kids, believers, nonbelievers, creationist and evolutions can all benefit from this resource. Ken Ham, president and CEO of Answers in Genesis and The Creation Museum, told The Christian Post: "In a world that is becoming increasingly secularized and biased, it's time for Christians to do something of this size and this magnitude." Here's a promotion of the building and what you will see of the Ark in Kentucky. It opened in July, 2016. Check out the official website: Ark Encounter. 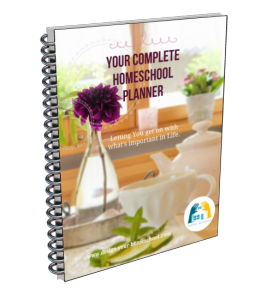 If you are looking for a complete list of resource books which will bring your homeschool history study of Ancient Egypt alive - check out the resources below. 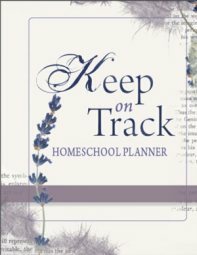 This current page lists living books which will enhance your study, but also make sure you ..
Add your choice of Spinebook, use Teacher Reference books for yourself or older students, Activity books and colouring in book, Project and Unit Study Ideas...and in that way, you can create your own Homeschool History Curriculum for Ancient Egypt/ Old Testament.